Promotion will start with a visit to Singapore on April 27, and Jay Park will also be traveling to the Philippines, Indonesia, and Malaysia in May, ending with a final stop in Japan in June. The new promotion was launched to celebrate the release of an Asian version of 'New Breed', the first formal album. Jay would like to thank the fans abroad will be unconditional love and support them, and this mini tour is also reported as the idea itself. Jay Park has also been invited to attend the 'Star Awards' in Singapore, and will be presenting a special performance in front of 6000 fans in attendance. Furthermore, Jay has received endless requests for an interview on television, radio, magazines, newspapers, and many more, which proves its popularity overseas. PARK Jaebeom or better known as Jay Park landed at 23:00 pm at the Soekarno Hatta International Airport, yesterday (8/5). As has been previously reported Jay Park came to Indonesia in order to promote the album tebarunya "New Breed". The former leader of 2PM will hold a special event at Balai Sarbini Jakarta, Thursday, May 10, 2012 starting at 17:30 pm. Showcase Jay Park will be broadcast via a live broadcast by SCTV Music Special, titled "A Special Concert Jay Park". Will also attend high school boy band * SH and tesebut Cherrybelle to enliven the event. Through his personal Twitter account @ JAYBUMAOM Jaypark saying "Singapore Indonesia Malaysia Phillippines Washington DC Los Angeles New York San Diego or San Fran (1 of the 2 lol) lets party!" "I came up to you! Will traveling during the month of May! For those who do not know, I'll tell you as soon as possible" "JAKARTA JAKARTA JAKARTA"
CD album sales currently reported up to 500 pieces in a matter of hours. This is because, for fans who buy the album Jay Park "New Breed" will get a free ticket invitation to look directly at the stage. Jay Park was born and raised in Edmonds, Washington. Jaebeom originally auditioned in the United States as a rapper and b-boy. Park Jin-Young then took Jaebeom to Korea, and trained for four years to improve the quality of singing and Korean language, as a solo artist. Jay Park first appeared in Mnet show "Hot Blood" is a program that shows intense physical exercise of 13 male participants who had to pass the opportunity to debut at one of four members of 2AM or dance group, amounting to seven members of 2PM. After going through the elimination, Jay Park got a position as a leader of 2PM. K-pop fans in the ground water is being spoiled. After a couple of country of origin of ginseng boyband concert successfully held, this time turn soloist Jay Park. South Korean singer-blooded American is re-visited Jakarta for the second time. Besides going to promote his new album 'New Breed', Jay Park will also hold showcase at Balai Sarbini, Thursday afternoon (10/5). Men who love hip-hop and R & B since the age of seven years said he was happy to return to Indonesia. 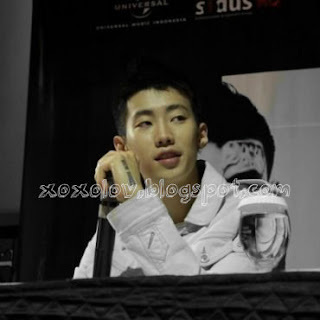 Encountered when preskon at Hard Rock Cafe Jakarta (9/5), Jay Park said a few words about his new album. "This is not the English-language album, but this is my first full personal album. In it there are 15 songs, of which 13 songs among my own that created it. I wrote their own songs because I know the music that I like. Although there are two songs that are not written by me, but I like the song, "explained the man's full name is Jay Bum Park. 2 PM is the former leader also added that he was excited to return to Indonesia. "I'd like to meet my fans. I would like to perform in front of them," he added. The singer who was admitted influence of Michael Jackson, Bryan McKnight, Boys II Men and Eminem also want to visit Bali. "I want to go to Bali, because my friends are now in Bali," he said with a friendly smile. Coming to the Concert in Central Jakarta Sabrini, Jay Park held the first press conference and fans through the "Meet And Greet with Jay Park," held at the Hard Rock Cafe, EX Plaza, Jakarta. The event was attended by some news media coverage and Jwalkerz (as a fan of Jay Park) is excited to meet directly with Jay Park. Jay Park said he was happy to re-visit to Indonesia, "I feel very honored to come to Indonesia again, thank you very much. In 2010 I came here to meet fans, just a little while, now my three days here, hopefully we can spend time together you, "
He added, "Next time I'd love to Bali. You see me a lot of fans there. I do not look at it as market, wherever my fans are, I want to meet my fans. Although only 100 or 500 people, I remain want to go into the country. " In addition to expressing feelings of joy can come to Indonesia, Jay Park also talks about his new album "New Breed" who became the main core of Jay Park to showcase a variety of countries including Indonesia. "This is exactly as my personal album, because the 13 songs I wrote myself. Why do my own writing because I know the music that I like, know the bad and good. So I decided to write her own songs. There are two songs that I write not, but I love that song "Jay Park is also clear that most of the songs were more inclined to RnB and hip hop genre. On occasion, Jay Park also showcased his vocal skills a little ahead of its JWalkerz. The penggemarpun eloquently sang along through the song "Know Your Name" and "Girlfriend". Finished singing, Jay Park provide a signature on the album is carried by Jwalkerz. The fans also also provide a special surprise, they brought a birthday cake and some gifts as a sign celebrating the anniversary of Jay Park on the 25th and 25 April 2012. "Fans Indonesia is well. Though already past two weeks my birthday, but they still love gifts, I am very flattered," said Jay Park. Men blesteran U.S. - Korea who was born in Seattle, 25 April 1987, will hold a concert in Jakarta Sarbini Hall building, Thursday, May 10, 2012. In order to promo their debut album is titled "New Breed", an American singer-blooded Korean, Jay Park, held a mini concert at Balai Sarbini building, Jakarta, on Thursday, May 10, 2012 tomorrow. Prior to hold a concert, Jay Park today warming up accidentally singing in front of the JWalkerz (as a fan of Jay Park) through the container meet n greet at the Hard Rock Cafe, Jakarta. Although the new album include, but Jay fans which amounts to 200-person eloquently sing along with songs by numbers "Know Your Name" and "Girlfriend". Former boyband 2PM's leader is also looking very pleased with the reception of fans. After the session was continued singing her signature album offered the JWalkerz. Also also gives fans a special surprise, they brought a birthday cake and some gifts include T-shirts and mobile phone holder. Personnel FORMER boyband 2PM, Jay Park, has held a concert entitled "Jay Park Concert at Balai Sarbini Jakarta" on Thursday, May 10, 2012 last. Ahead of the concert, he asked something to the Universal Music Indonesia, the shelter's record label. "He (Jay Park) ask for a tonic prepared labor, perhaps fitting that the concert tired of baseball," said a representative of Universal Music Indonesia, Ferry (8/5). Jay Park knows very well how he should keep his stamina during his stay in Jakarta. Moreover, before the concert, he will meet fans and media to a press conference with the country. "Essentially, he wanted to look as closely as possible in concert later," added Ferry. Jay Park landed at 23:00 pm, Tuesday (8/5) with the airline's on board Philippine Airlines. Previously he was a concert in Manila. Who would have thought in his showcase last night Jay Park appeared with a white shirt that reads "DAMN! I Love Indonesia! 'Apparently, the shirt was a gift from a fan in Indonesia. Wow! Jay chasing midnight at Soekarno-Hatta airport, do not make the struggle Monik Novi (21) to no avail. He managed to give T 'DAMN! I Love Indonesia! 'it directly to the singer from Seattle. "Malem it (at the airport Soetta) sempet give fans signing him for a while for us to chase to the airport. I say use English 'I've got a present for lo,' To be taken directly at Jay and said 'Thank you very much'. Jay holding it keeps clothes from the airport to the car, "said Bina Nusantara University student was on detikhot, Friday (05/11/2012). "I love a letter too, I said 'please wear this Jay fans when signing or appearing for fitting nunjukkin same if you love Indonesia'. I give Indonesia a key chain as well," he added. The singer was born 25 April 1987 did not wear during the event giving fans signing Novi. But it turns out, the singer of 'Girlfriend' is surprising Novi and the entire audience at Balai Sarbini, Thursday (05/10/2012) by wearing a 'DAMN! I Love Indonesia! 'it. "The next day I dateng to fans signing, but not used. I was already hopeless. But he used him to perform at his showcase. I immediately cried, between the same excited lemes. Want gemeter photo but already," he said enthusiastically. Novi excitement does not end there. He also had high five with a singer who had joined the JYP Entertainment. Jay Park held a showcase at Balai Sarbini, Jakarta (10/5) yesterday. Special concert event titled Jay Park is also enlivened by girlsband boysband and the rise of Indonesian origin SM*SH and Cherry Belle. Appearing before hundreds of Jay Walkers (fans nickname Jay Park), Jay Park that afternoon appeared wearing a white colored T-shirt with the words stump 'DAMN! I Love Indonesia 'managed to make his fans happy. Latest songs from the album, entitled New Breed was performed with slick by Jay Park who also appeared with dancernya called Prefix. Although having a bit of technical problems during the concert took place, but the enthusiasm of the Jay Walkers are not extinguished, screaming hysterically and sing along terderngar throughout this man born in 1987, the song hits such as Know Your Name and Girlfriend this. South Korean solo singer, Jay Park, successfully held its showcase in Jakarta on Thursday night. Sarbini Concert Hall was attended by hundreds of Jaywalker Indonesia. 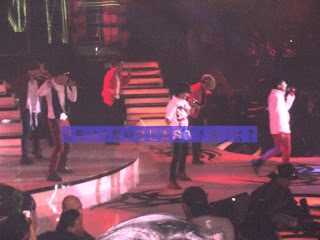 Jay Park performed using a white T-shirt that read Damn! I Love Indonesia's VJ Daniel presents songs from his latest album entitled 'New Breed'. The shouts of the Jaywalker was endlessly sounded for a man whose full name was Park Jaebeom like the song 'Up and Down', 'Nothing On You', 'Abandone', 'Girlfriend', 'I Got Your Back', 'Star', and 'Know Your Name'. "How are you everyone. So nice to see you guys. Thank you for coming. I love you," he said this afternoon with the Indonesian language. In between performances, Jay Park said he had tried several Indonesian food during his stay for 3 days as Nasi Goreng and Sate. "Every time I meet with my fans, it's a moment that I have never forgotten. Yesterday I ate fried rice and satay," he said. Jay Park was featured along with dancernya attractive. 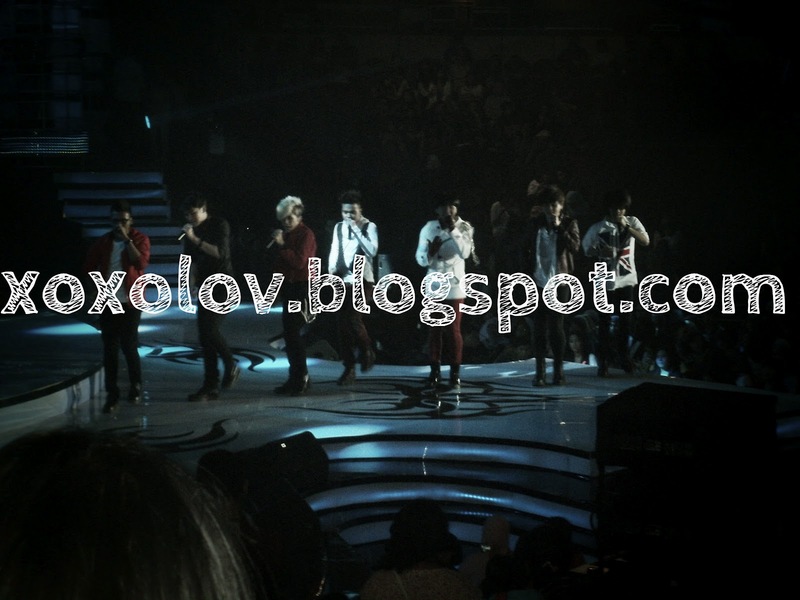 In a showcase that lasted 2 hours, it also appeared in the country boyband and girlband Sm * sh Cherrybelle. They also appear equally attractive day. But unfortunately, it must showcase disturbed by some technical problems so that Jay Park had to repeat the song 'Nothing On You'. However, the Jaywalker satisfied with the performance of 25-year-old man. but according to Jay Park JWalker looks less old. SM*SH and Cherry Belle as opening act guest star in Jay Park showcase that was held Thursday, May 10, at Balai Sarbini, South Jakarta. Their appearance is set alternately to the action stage, Jay. The event was hosted by MC Justin Bieber and Andhika Primary. SM*SH appears first by singing the song "Smile Spirit". After performing SM*SH, Jay's turn again to sing "Nothin 'On You". After that there are Cherry Belle is singing the song "Love Is You", "Dilema" and "Beautiful" is also interspersed with live performances SM*SH again. Cherry Belle even had time to give flowers to Jay on the stage. Saw it, hundreds of fans screaming hysterically. Concert tickets for the cooperation with SCTV can be obtained free of charge via the 5 stores that have been designated CD. They simply buy the album entitled Jay and showcase invitations. For those who can not watch, SCTV broadcast at 17.30 hours GMT, or about 2 hours of actual events. Although held in place that are attached to shopping centers, but knickknacks Jay Park can still be found, such as T-shirts with a picture and bearing the name of Jay Park, headbands, hats and various other attributes. The number of traders and the price is not much standard. For t-shirts sold from 60-100 thousand, while for a band ranging from 15 thousand. 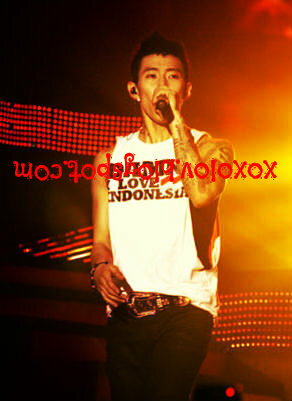 Jay Park recently completed Special concert titled "Jay Park Concert at Balai Sarbini Jakarta". Opened the performance with the song "Up and Down", Jay Park with four men appeared enthusiastic dancer. "How are you everyone. So nice to see you guys. Thanks for coming. I love you," said Jay Park. Jaywalker who since morning waiting for the personnel of former boyband 2PM's concert, shrieked hysterically. Furthermore, "Nothing On You", "Abandoned", and "Girlfriend" fast flowing from the mouth of Jay Park. More and created an audience swaying hysterically see Jay and show off a six packnya. When a pause, * SH and SM Cherry Belle turns entertaining the audience consisting of three fan base, namely Smashblast, TwiBi, and Jaywalker. SM * SH songs brought hits like "Oh Yeah", "Smile Spirit," "I Heart You" and "Aah". While Cherry Belle look elegant with the song "Dilemma", "Beautiful", and "Love Is You". Re-created by the audience hysterical Jay Park through the song "Know Your Name" which also became the ultimate song in concert 25-year-old guy. The audience did not seem too pleased to see the action Jay Park is fairly short for a concert. Although already said goodbye back, Jay Park is not the heart to see thousands of Jaywalker still in the location of the concert, back up onto the stage. Unfortunately, Jay Park was back to singing, but entertaining fans and fans by saying that this time the show ended the concert. "And I promise to come back in front of you. See you next time," says Jay. "See you too, Jay," said Jaywalker. In a lively concert, Jay uses T-shirts saying "Damn! I Love Indonesia" and make the sentence "I Love Indonesia" Trending Topic on Twitter Worldwide. Boyband SM * SH will appear on stage with Jay Park in Concert Special entitled "Jay Park Concert at Balai Sarbini Jakarta", tonight. 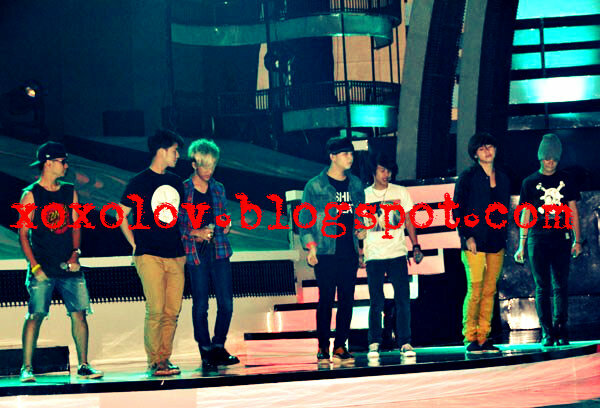 Morgan-member boy band, Rangga, Bhishma, Rafael, Dicky, and Ilham Reza was also concentrate on preparing for the maximum order choreography to perform with Jay Park. "We really concentrate Koreo so yes, Jay Park was also my baseball carelessly koreonya. We still want koreonya also as good as Jay Park," says Morgan when talking with tabloidbintang.com at Balai Sarbini, South Jakarta, Thursday (10/5) . Not only grammar choreography, SM * SH is also preparing a costume that much different from their previous appearances. "Costume was also one of the most we prepare to perform with Jay Park. We still wants a casual, sporty'll look like Jay Park," added Morgan. The concert will be broadcast live by TV station SCTV, the SM*SH will bring their five hits.